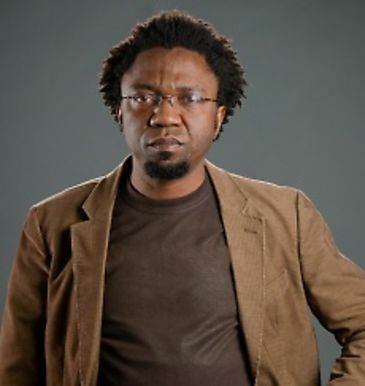 On December 7, 2017, Patrice Nganang, a scholar of comparative literature at Stony Brook University (SUNY Stony Brook), was reportedly denied exit from Cameroon and arrested by state authorities, in apparent retaliation for an article he wrote criticizing Cameroonian government policies. In addition to his research and teaching at SUNY Stony Brook, Professor Nganang is an award-winning author known internationally and especially in Francophone Africa. On December 5, 2017, Professor Nganang published an opinion piece in Jeune Afrique criticizing state treatment of the Anglophone communities in Cameroon’s southwest region. For more than a year, the region has been the site of repeated protests, many have which have involved violent force by state authorities against peaceful activists, including scholars and students (see SAR reports from November 2016 and January 2017). On December 7, Professor Nganang was scheduled to leave Cameroon and travel to Harare, Zimbabwe. Sources indicate that after passing through a security checkpoint at Douala Airport, he was arrested. His family was unaware of his whereabouts for 24 hours, until his lawyers found him in a government detention center. According to one of his lawyers, Professor Nganang is accused of “insulting the president of the republic.” The accusation apparently stems from his December 5 article, in which he criticized the president’s policies and suggested that a change in leadership would be necessary to peacefully resolve issues affecting Cameroon’s Anglophone community. As of this report, there have been no announcements concerning a court appearance nor information regarding his potential release. Scholars at Risk (SAR) is concerned about the arrest of Professor Nganang and the denial of his right to travel, in apparent retaliation for his peaceful exercise of the rights to academic freedom and freedom of expression — conduct that is expressly protected under international human rights instruments, including the Universal Declaration of Human Rights and the International Covenant on Civil and Political Rights, to which Cameroon is a party. In addition to the harm to Professor Nganang, arrests and travel restrictions in retaliation for peaceful scholarly work and expression threaten the well-being of higher education communities, and undermine academic freedom and democratic society generally. SAR respectfully urges Cameroonian authorities to secure Professor Nganang’s release, ensure his right to travel, publicly reaffirm Cameroon’s commitment to academic freedom and freedom of expression, and to refrain from future retaliation against the peaceful exercise of these rights.